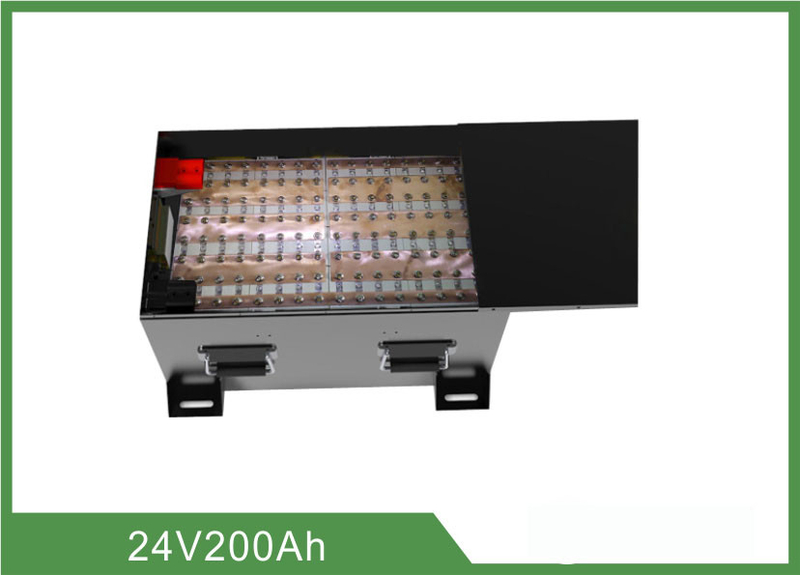 2 Nominal Capacity 200Ah Rest for 0.5~1 hour after fully charge, Using electrical loader to connect with the battery output port, and discharge with constant current 0.2C till it can’t discharge. Do the cycle three times, if there is one time that the discharge time is equal or more than 285minute , you can stop. 4 Allowed Maximum continuous charge Current 200A charging with 200A for more than 0.5h and the added temperature of battery pack less than 20℃. 5 Allowed Maximum continuous discharge Current 200A Discharging with 200A for more than 0.5h and the added temperature of battery pack less than 20℃. 7 cycle life Discharge Capacity ≥80% Discharge it with the current of 50A to the cut-off voltage, and store it for 15min.Charge a battery with the current of 50A, then keep the voltage and current constant and continue to charge it until completed . After storing the battery for 15min. The test is to be conducted as per the above cycles. The cycle should be 1000 times. At the 1001 times discharge capacity should not be less than ≥80% with 20A. At 20±5℃ discharge the battery with the current of20A to the cut-off voltage and record charge capacity. Store the battery at the following temperature for 2h and discharge the battery with 20A to the cut-off voltage. 10 Over Discharge Protection furbish Charging With20A Charge the battery with 20A for 5min and measure the output voltage (≥16V)of the battery pack. The battery should have load. 2 High Temperature Discharge Testing The battery should be no remarkable breakage, distortion. Discharge time should not less than 255mins Place a full charged battery under the environments of 55℃ for 2 hours. Discharge it at the current of 200mA to the cut-off voltage. Then keep it at 20℃±5℃ for 2 hours. Place a full charged battery under the environments of -20℃ for 15-24 hours. Discharge it at the current of 200mA to the cut-off voltage. Then keep it at 20℃±5℃ for 2 hours. 4 Constant Humidity & Temperature Testing The battery should be no remarkable breakage, distortion. Discharge time should not less than180mins Place a full charged battery under the environments of 40℃ and 90% - 95%RH for 48 hours. And keep it in the room temperature for 2 hours. Then discharge it at the current of 200mA to the cut-off voltage.